Having trouble reattaching your hydraulic implements or attachments? Ever wonder why your hydraulic implement or attachment blows out seals or develops leaks when it’s not even attached or being used? Have you wondered why your hydraulic couplers seem so finicky? Why you are able to recouple them one time with no trouble, but maybe not the next? What actually happens the second you uncouple your hydraulic hoses and couplers from the power source (tractor, skid loader, excavator, or truck) is that it becomes a trapped system. The hydraulic oil no longer has a place to go. Throughout the day, the ambient temperature and sun’s rays touch the equipment which causes the hydraulic oil to expand in the trapped system. This causes a pressure increase in your system, and locks up your hydraulic couplers. Unhooked hydraulic couplers are now check valves, and the pressure that builds up behind them holds the couplers closed, tighter and tighter. This can cause your hydraulic cylinders to form leaks, become impossible to recouple, or even blow entirely. This pressure buildup, known as thermal expansion, can cause very expensive damage to your very expensive equipment, and can be a serious safety hazard as well! The ONLY solution is to prevent the problem, and now you can. A new device, the Hose End Chamber, prevents the pressure build up from thermal expansion from temperature changes throughout the day–even when your machinery is not in use! 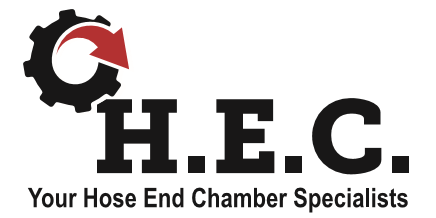 The H.E.C. product line ranges in size to fit most equipment from small, single-cylinder attachments to large, multi-cylinder attachments and was engineered to solve a common problem people face when working with hydraulic attachments. “Recoupling hydraulics can be very finicky; one instance it can reattach perfectly and another time the couplers and hoses are locked tight. It’s also not uncommon for leaks to develop or seals to blow out when not in use”, said Dale Maney, Creator and Founder, H.E.C. 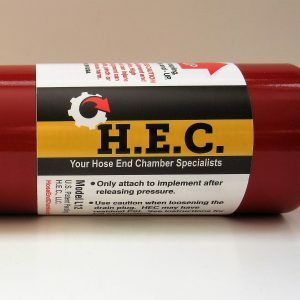 “Many years of frustration encountering the same hydraulic problems over-and-over inspired me to look for a solution to the problem, which is the hose end chamber”, said Maney. It simply couples to the end of your hydraulic hose after you uncouple from your power source and prevents the pressure build up from thermal expansion, which is similar to the overflow bottle on your car’s radiator. It remains there until the next time you need your implement at which time you uncouple the Hose End Chamber and go back to work. 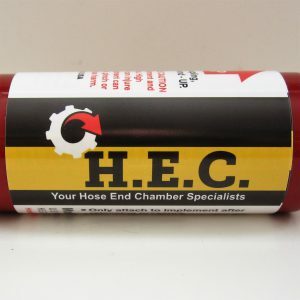 The Hose End Chamber allows the attachment to actually rest without all of the stress induced into the system due to thermal expansion. This lessens the chance of damaging hoses or seals while it’s not being used. It will work on any hydraulic attachment or implement by just selecting the correct mating hydraulic coupler tip that will hook it up to your tip; example, pioneer type or flush face. 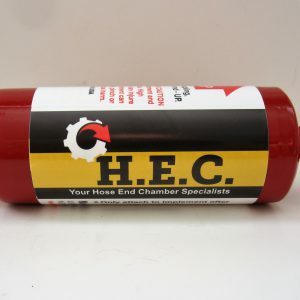 So whether you have a farm implement, a construction attachment, or a industrial tool–the Hose End Chamber can help! 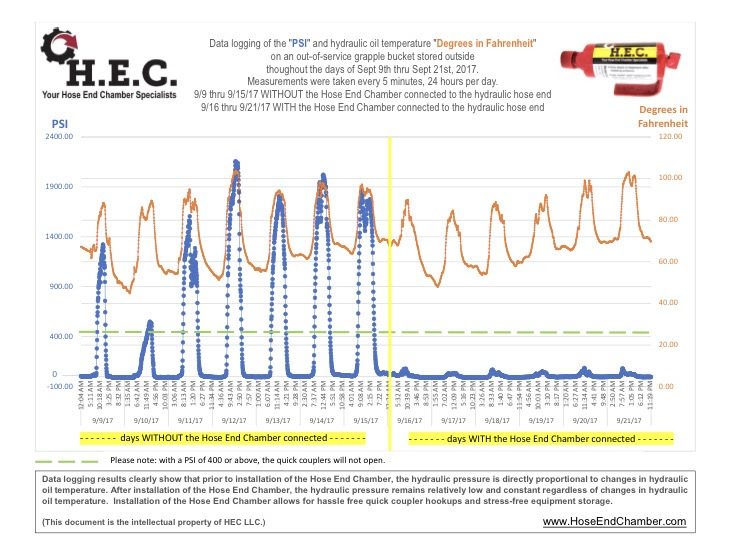 This graph shows the amount of pressure put on your hydraulic machinery WITH and WITHOUT the Hose End Chamber attached. This graph shows the amount of pressure put on your hydraulic machinery WITHOUT the Hose End Chamber while not being used.